And the smell is…well…the smell is like a mixture of wet clothes and rotten wood. It’s not necessarily unpleasant, but definitely distinct. I look around at the kids running through the alleys, the women selling ‘useful trash’ such as plastic bags and recycled paper, and the elderly lounging peacefully on their balconies, looking out over it all. 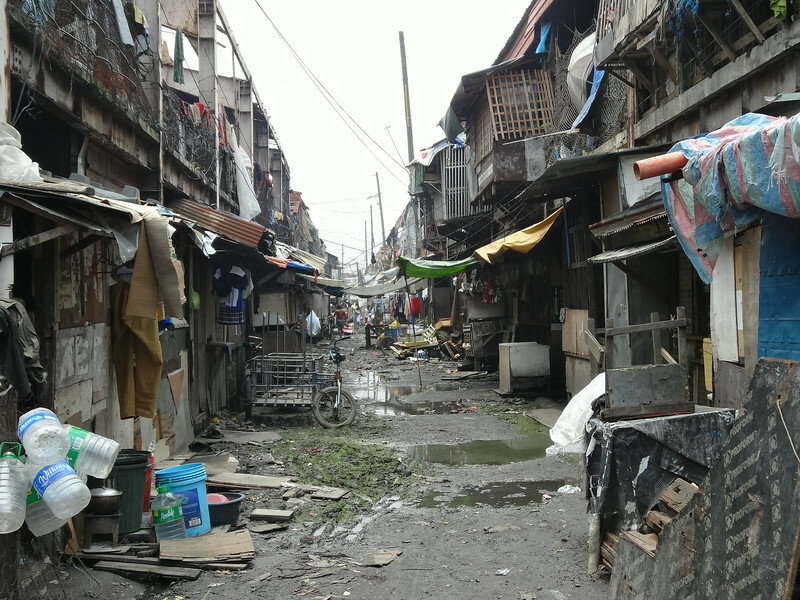 These are Manila’s slums, where, without any provided housing, the homeless have been forced to squat. It’s a very different place to the Manila I’m used to. My day in the slums starts early. 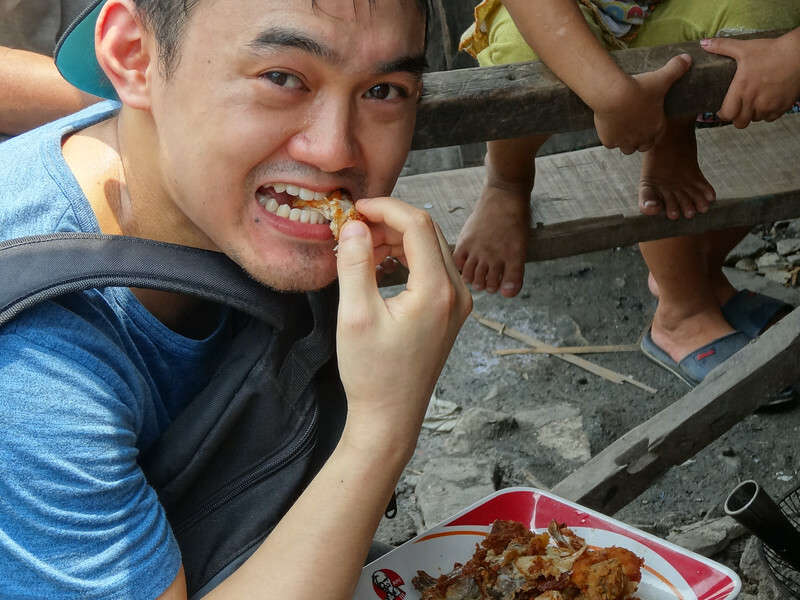 I meet Remy, my guide from Smokey Tours, at 9am at Jollibee, and we jump on a jeepney out to the slums in Barangay 105. The first slum is actually tidier than I expect. 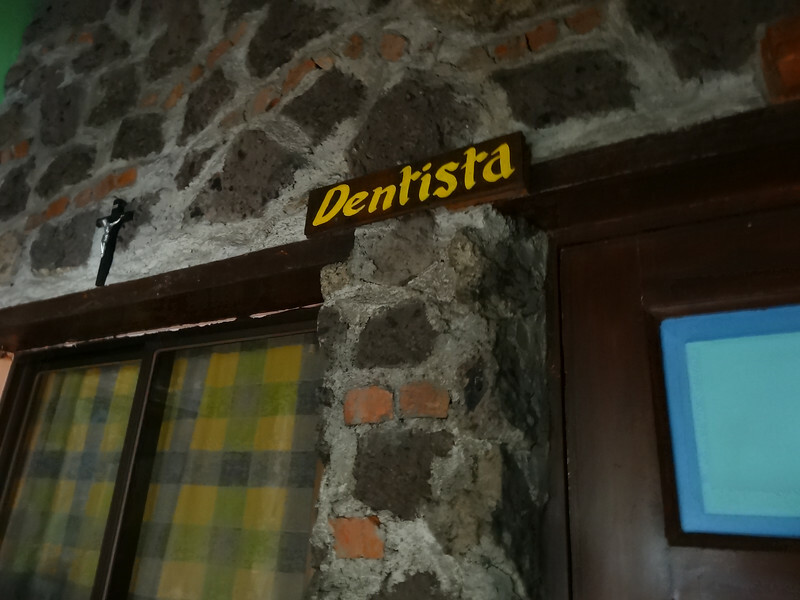 They have rooms with beds and tables, some even televisions, the alleys are paved and running water is available. Life is not easy here by any means, but at least basic human needs of food, shelter and clothing seem to be met, if only barely. In many people’s imagination, slums are lifeless places full of sick, starving people, fighting to survive, but surprisingly it’s quite the opposite here. People are up and about early, getting on with their day, cooking, washing, cleaning, working. It’s actually a rather lively place. As we walk through the alleys, we pass an old man cooking something on charcoal made from coconuts. I am not sure how he does it, but it works. Clearly, resourcefulness is key to survival here. Huddled in one of the corners, we come to a group of kids gambling for rubberbands. It’s obviously popular, as I’ve seen it getting played in a few different corners of the slum now. They laugh and scream wildly, having the time of their lives. It is always refreshing to see the innocence on a child’s face, happy and oblivious to the complicated world around them. I think about how, and why, I was given such luck in the ovarian lottery, born into a two-storey home in upper-middle class New Zealand. Compared to these kids, I grew up in a fairytale, yet their smiles are brighter than ever. Eventually we get to the river Estero de Vitas, which lines the slum. By the riverside, I spot two ladies working on a few piles of fish. I walk over to take a closer look, and they glance up and smile at me. 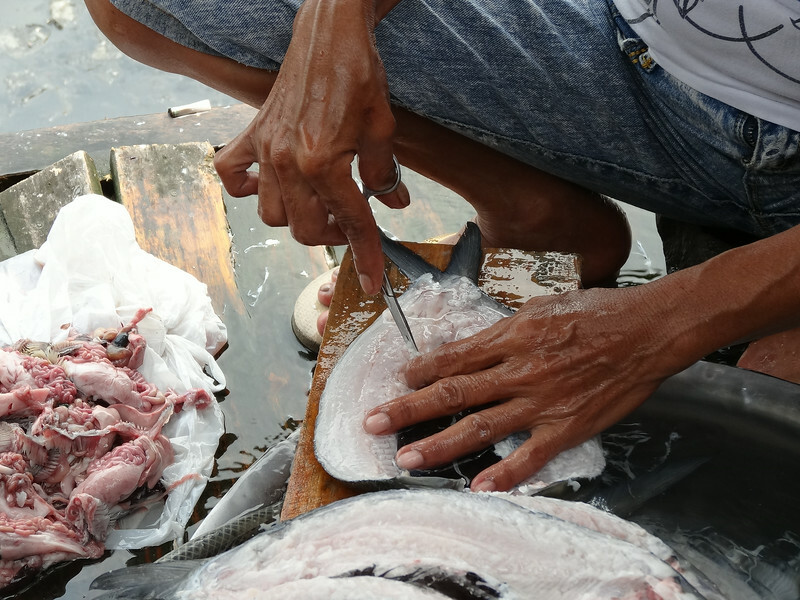 The fish they are processing is bangus, a Filipino food favourite, and they work through them at light speed; one does the cleaning and gutting, the other bones the fillets. Soon it becomes clear how they do it so fast – they’ve been doing it for 40 years. 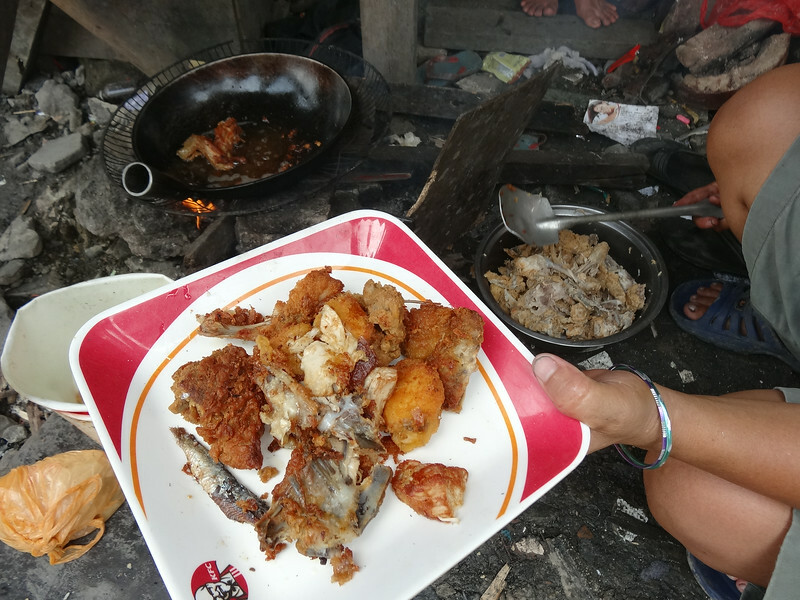 It is jobs like these that keeps the households fed – most fish are sold, some are kept for food, and the income gives them a means to keep on surviving. As we come to the end of the river, Remy points out another type of slum-dweller underneath the main bridge. Here, homes hang over the water, made from tarpaulin and scrap wood, seemingly hanging in mid-air. I stare at them for several minutes, and still can’t figure out how they’ve managed to build them. These homes are far more primitive than the ones I’ve just seen. 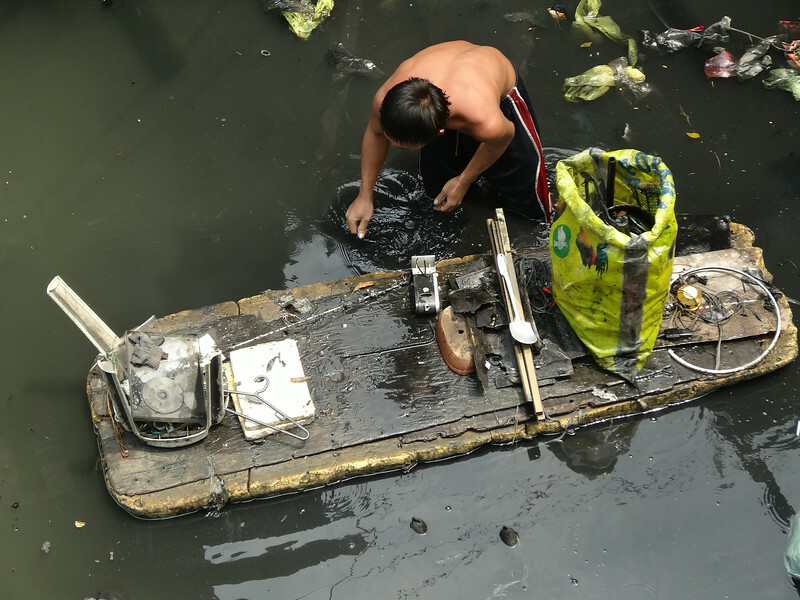 The men who live here work mostly as scavengers, sorting through the river trash for useful bits of plastic, metal and other materials. This is then sold to junk or recycling shops, allowing these people to make a living. As we cross over to get a closer look, a couple of girls living there come to show us around. We walk through the houses above the river, of which there are many, all made of recycled wood and other scrap materials. I feel like at any moment it’ll collapse and we’ll go plummeting into the water. I look inside some of the homes and see how tiny they are. Somehow, families of 7 or more manage to live together in a shack no bigger than a standard western bathroom. At this point, I am not quite sure what to think. The conditions just seem so unlivable to a first-world child like myself, almost on par with some of the places in rural Africa. However, at least in those places there is land to farm and build proper housing. Inner city poverty is a different beast. 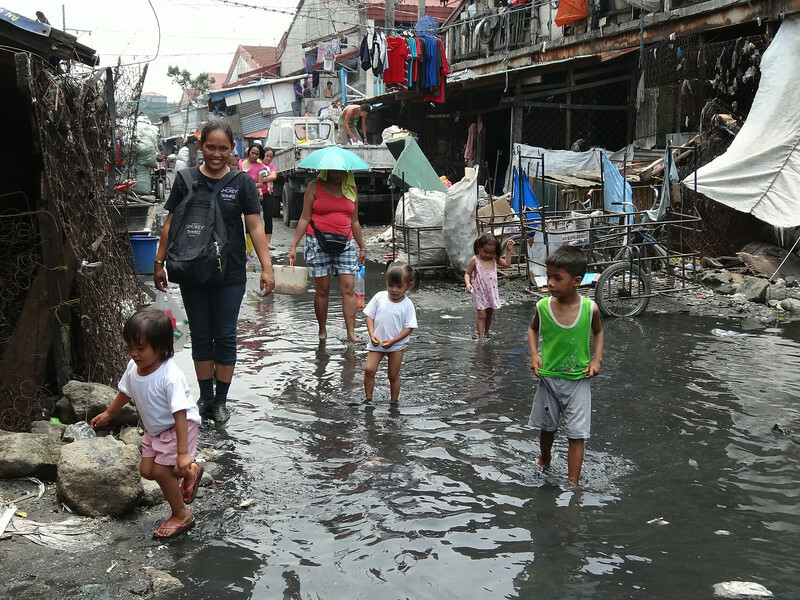 There is no land, no toilets, no electricity, and to make things worse, typhoons destroy the slum each year, after which the dwellers are left to rebuild. With the comforts of the city so close by, it is hard to understand how so many people are left to live like this. Next, I’m taken over to the temporary housing slums over at Barangay 105. 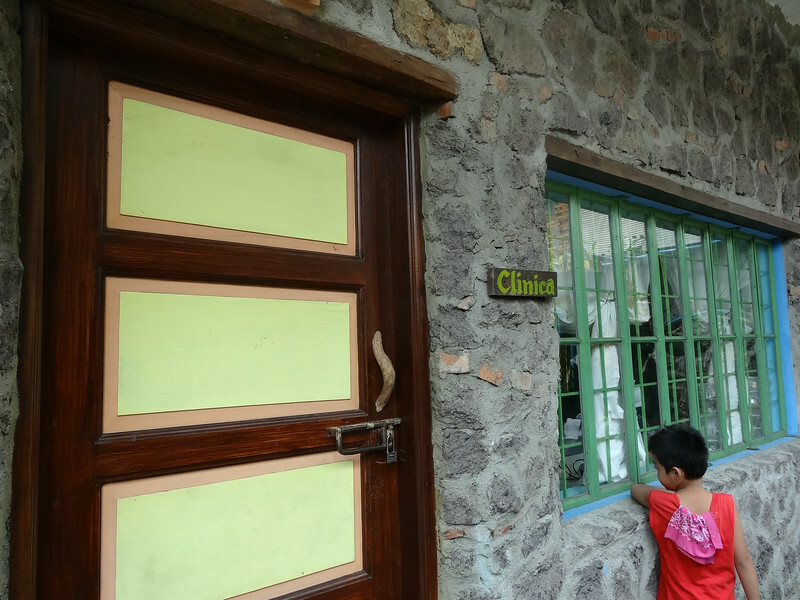 This houses the residents of the now closed Smokey Mountain slum, which sits just a few metres away. Again, the most common way of making a living here is by scavenging. Residents will spend the day looking through trash and collecting bottles, tyres, plastics, papers and metals. 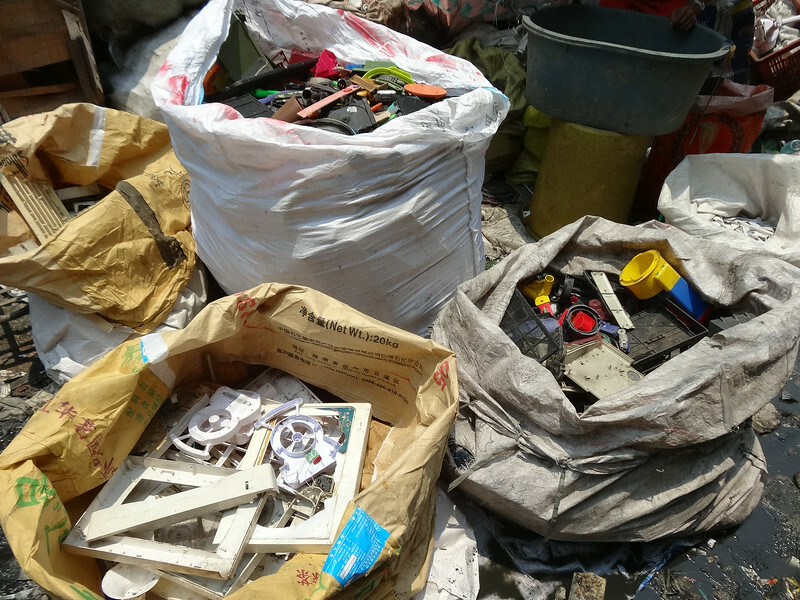 Once collected, these items will be sold to junk shops who will sort and on-sell them to be processed. 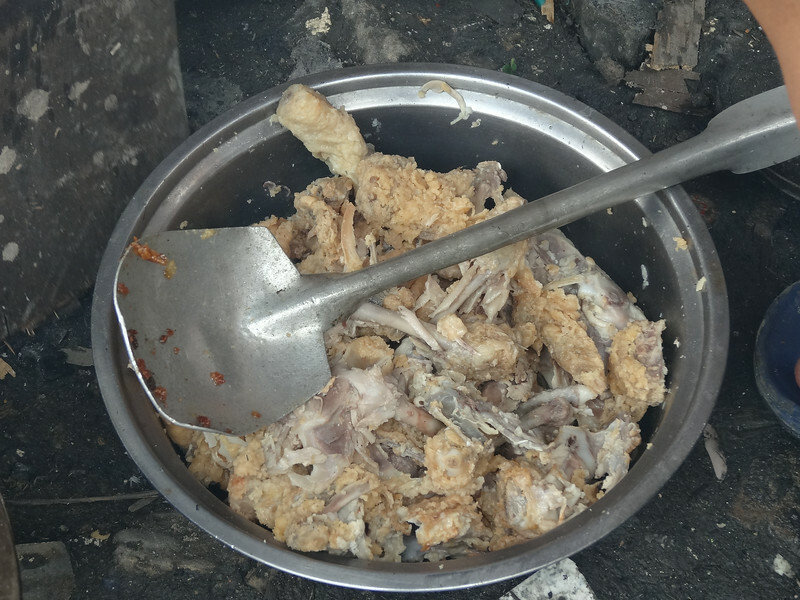 Most scavengers can earn around $3 a day doing this, which is usually enough to feed their families. As for the women, they are often employed as sorters rather than scavengers. 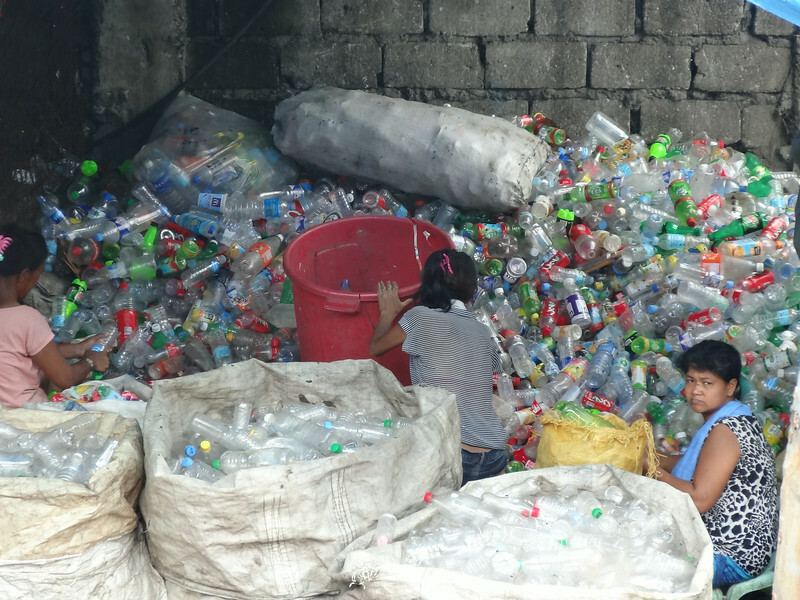 Most can earn up to $3 a day, sorting trash so it can be packed up and sold. Like everyone, people here need to eat, and again they depend heavily on the city trash for this. 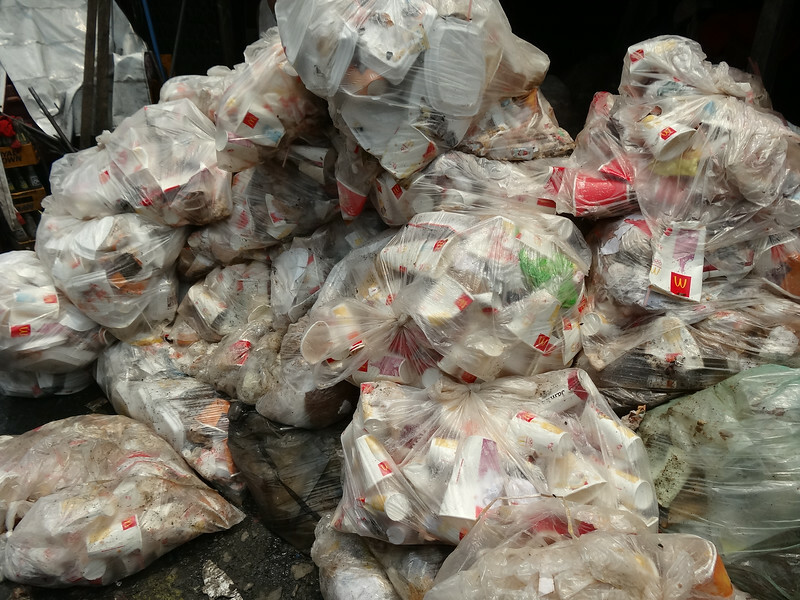 In a separate sorting area, people rummage through the trash from fast food restaurants, mostly from KFC and McDonald’s. Scavengers pick through the trash and collect leftover scraps of food to be cleaned and sold. 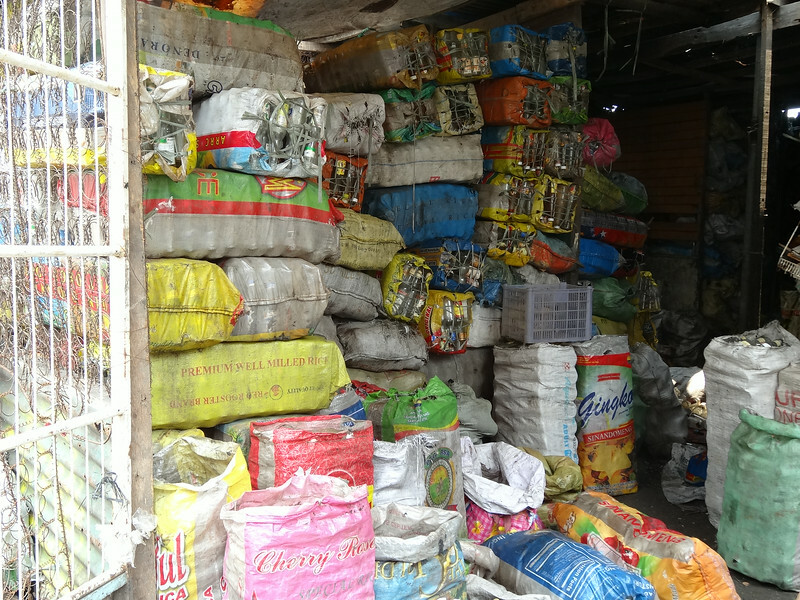 Each morning, residents of the slum come to purchase the bags of food, which have been sorted into small packages. 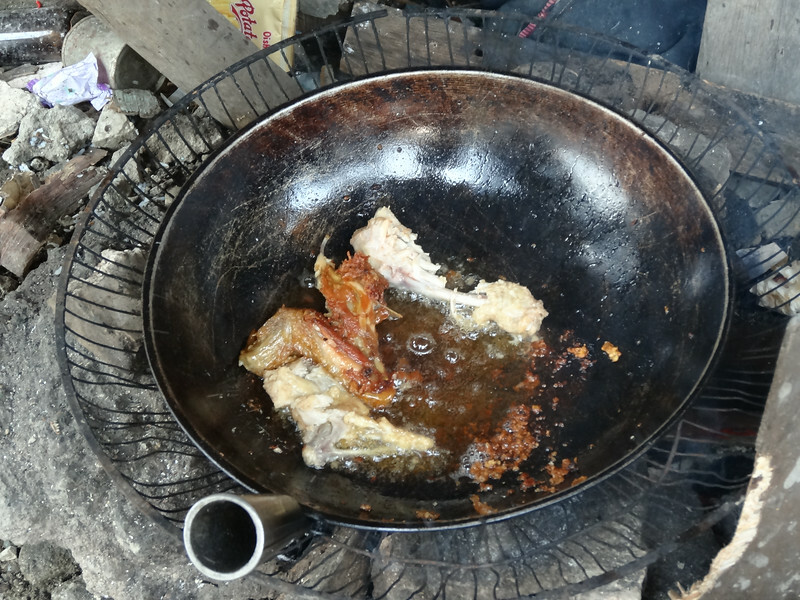 One common item is the ‘pagpag’; leftover scraps of fried chicken, which are then re-fried and served with rice. Lots of different scraps are sold, but the pagpag is by far the most popular; usually sold out by 9am each day. Down the road I’m lucky enough to find a woman cooking up her pagpag for the day. As is, it hardly looks appetising. Once it’s been washed, it’s thrown into the wok to be deep fried. It actually smells pretty good. Once it’s all been tipped onto the plate, she holds it up to me and gestures for me to take the first piece. Funnily enough, it tastes just like KFC. Who would’ve thought? We spend the rest of the afternoon wandering through the slum in the midday heat. People often stop to smile and say hi to me, or stand up and wave from a distance. Despite the warm welcome, I feel like an intruder. I feel many of them may be embarrassed at my presence, as if their home is so poor and desolate that it’s actually become a tourist attraction. If they only knew how much I admire their resilience, and it is I who feels small walking next to them. Interestingly, despite the hardship, I come to the conclusion that the slum isn’t exactly a sad place. People are fed, they have water, they have shelter, and seem to go about their day with a smile on their face. It’s a hard life, definitely, but not a hopeless one. Families eat and play together, sing karaoke, and do their best to enjoy what’s been given to them. It’s a welcome lesson in gratitude that we could all use from time to time. 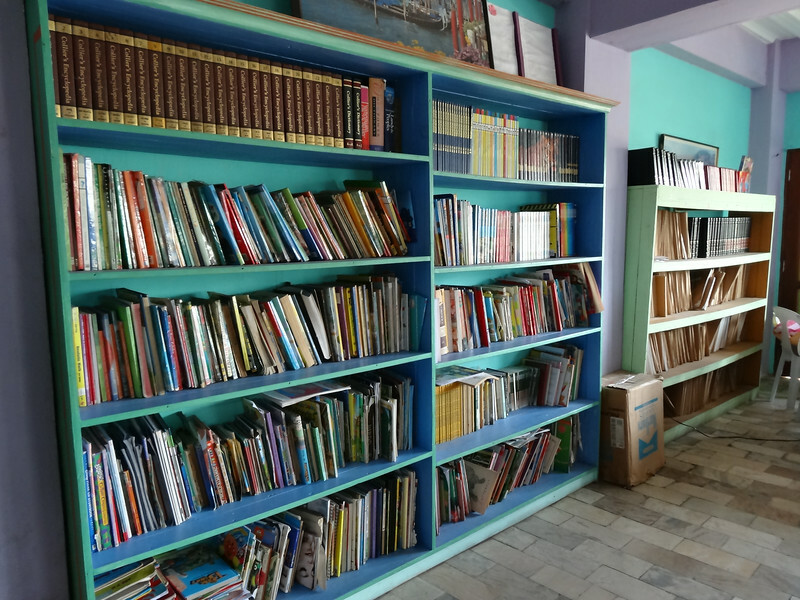 Smokey Tours runs this tour in partnership with an NGO called BYSMP (Bahay At Yaman Ni San Martin De Porres), which receives all of the tour profits (yes, all). After the tour, we go to check it out. 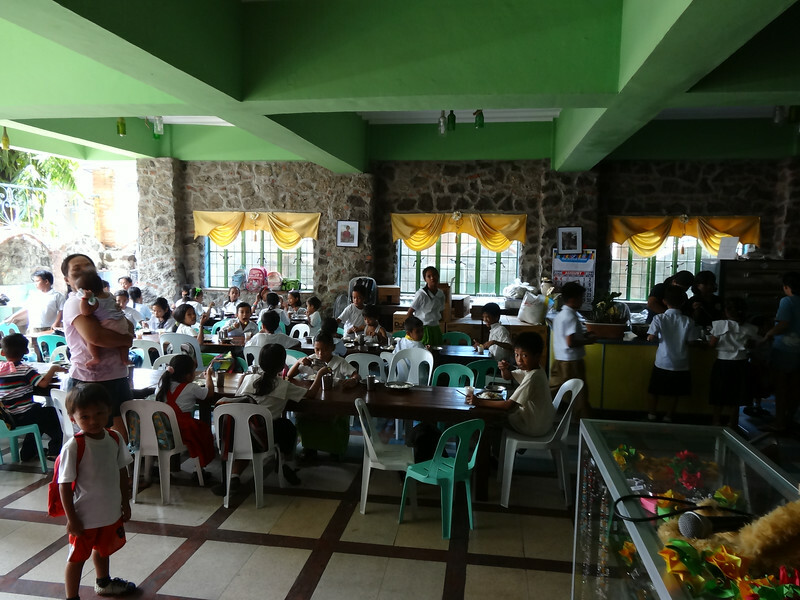 Here, children from the slum are provided with food, schooling, clothes and healthcare. 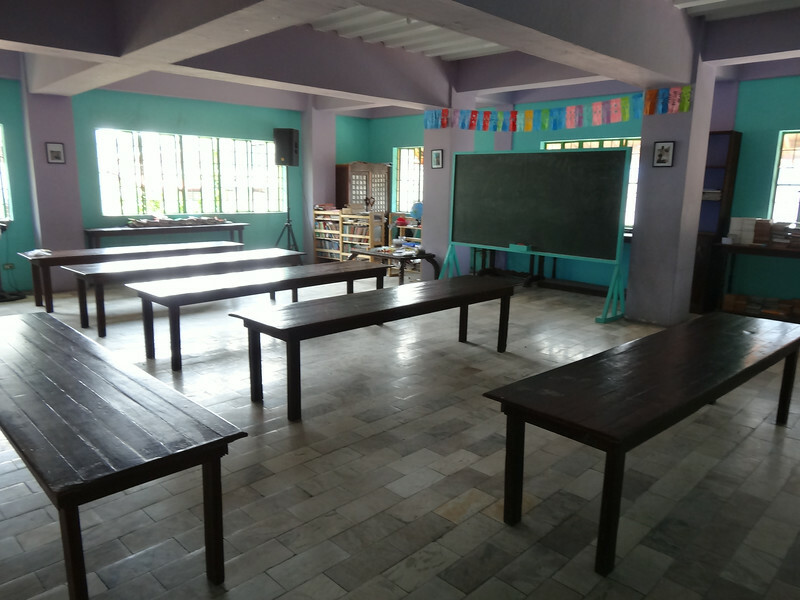 The facility is excellent, with a fully equipped dining room, kitchen, classrooms, dentist and health clinic. It’s incredible how small NGOs like this can stay so under the radar yet make such enormous differences to people’s lives. 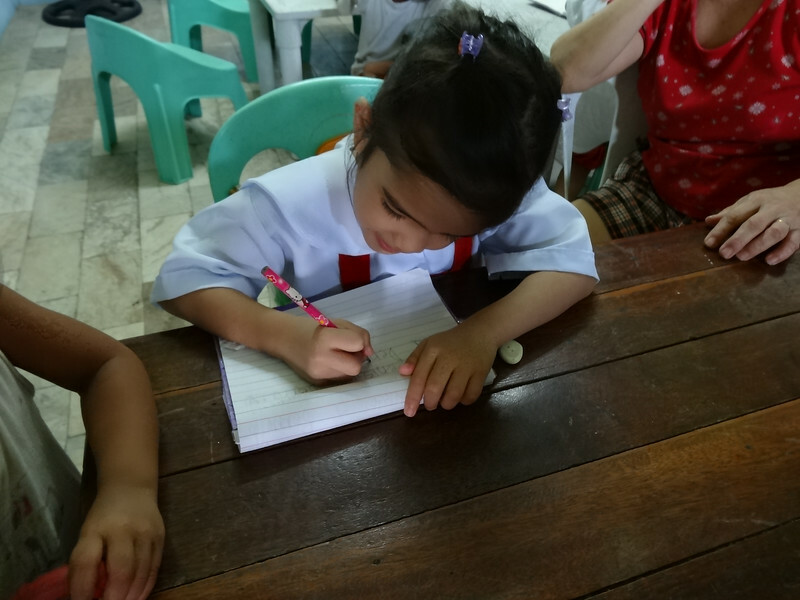 With a little help, they’ll give many children from the slums a chance at a much brighter future than the generation before them. 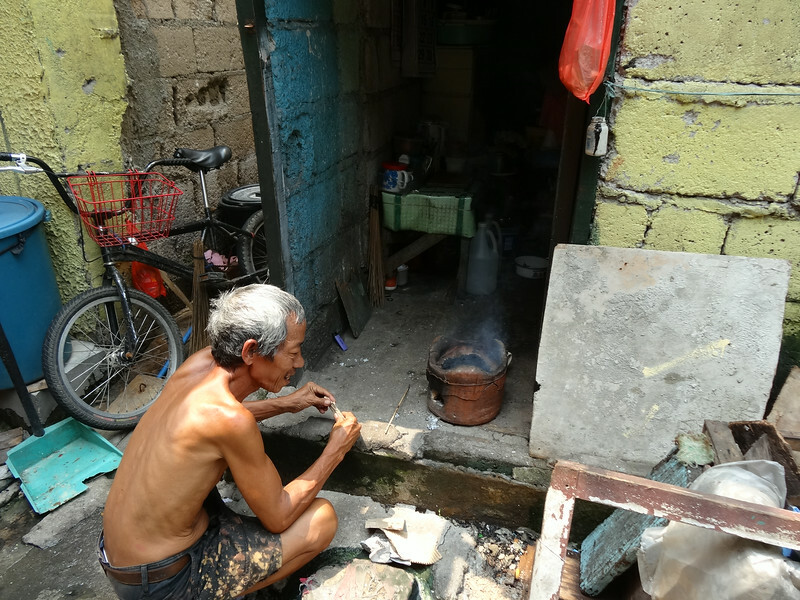 And, with the revenue from these tours, Smokey Tours is able to bring some level of awareness to Manila’s inner city poverty, while also contributing financially to the cause. It’s an excellent initiative; one that I am happy to lend my support to. 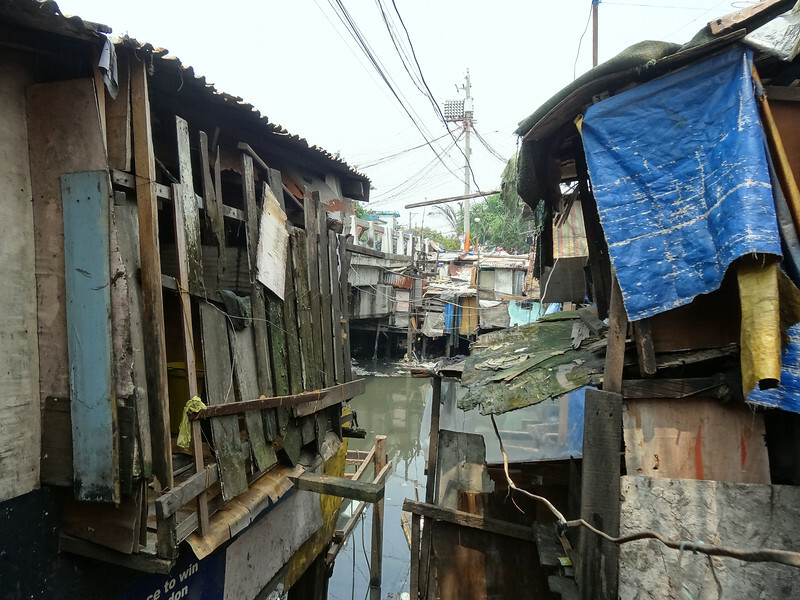 Interested in a slum tour? 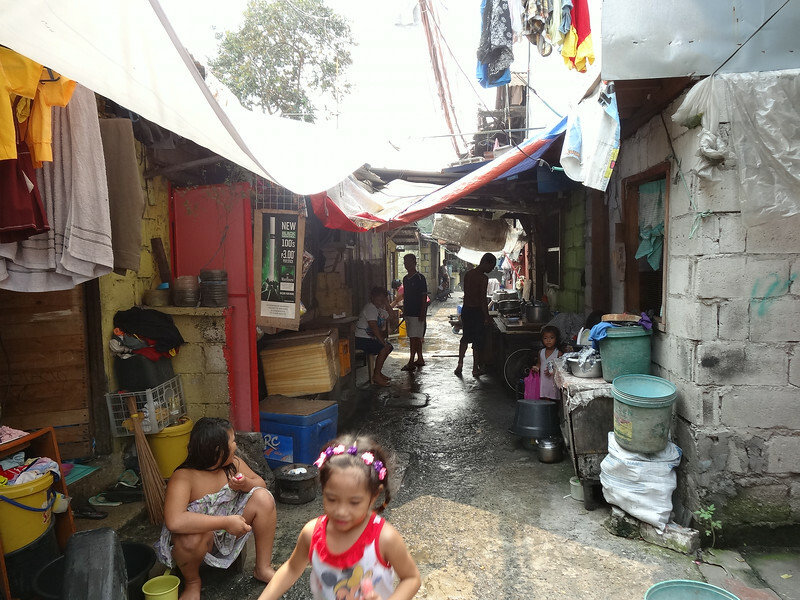 If you’d like to get out of the Makati markets and shopping malls and get a look at the other side of Manila, I’d highly recommend a slum tour with Smokey Tours. Locals from the slums are employed as guides, and the profits from the tours all go towards providing food, schooling and healthcare for the children living there. I never recommend tours or attractions where people profit from poverty, and thankfully this is not one of them. To book a tour, simply head over to their website and get in touch! If you’re looking for affordable accommodation in Manila, I highly recommend using Airbnb. You can get $25 of Airbnb credit, absolutely free, using this link. I highly recommend travelling with insurance. 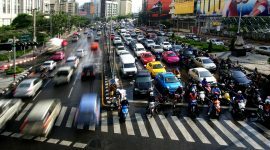 The Philippines is an unpredictable place to travel and you should be prepared for the unexpected. For a beginner’s guide to travel insurance, what it is and why you need it, check out my post Travel Insurance 101: Everything You Need To Know. Disclosure: I was invited to write a piece on this tour by Smokey Tours. Smokey Tours covered the cost of my tour. Photos are not normally permitted on the tour, but I was given a pass for media purposes. All opinions are my own. You can read my Disclosure Policy here. I was teary eyed as I read your article and see the pictures. I am a Filipino who spent some years studying and working in Manila but have never tried to take a look at what Smokey Mountain (SM) really is. After I finished reading, I was crying and felt so much pain for them and myself. Where I am now, the dog gets a special dog food to control his diet, receives medications for his illness, is groomed every month, etc. How lucky! And where I came from, the human beings buy the left over foods and survive with it. How ironic! I appreciate what you have written. May this article touch many hearts. Thanks you for your comments. I also found it hard to believe that they eat from the garbage, not just now and then, but every day. And the fact that they actually buy this food, rather than just scavenge it, was unbelievable to me. You are right, even most dogs around the world do not need to resort to this. 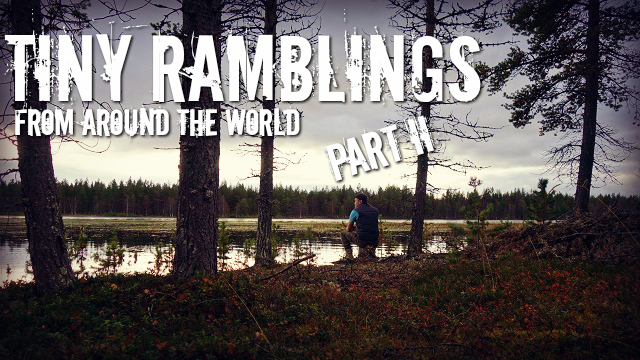 The world needs change, but how and where it will come from is a difficult question. Smokey Tours is doing a wonderful job with both funding and raising awareness – hopefully, it is only the beginning. Thank you for the tour. I have been born and raised in Manila but only have a gist of how the slums are from a moving transportation or from docus on the tv. More importantly, thank you for the donation of time and tour fees for the people in that side of Manila. It was actually a wonderful place to visit, despite the poverty. The people’s smiles tell a story all their own. When you return, hopefully you can find the time to take the tour yourself. Thank you for this report. I studied in Manila for seven years. The issue of the poor has often been swept under the carpet. 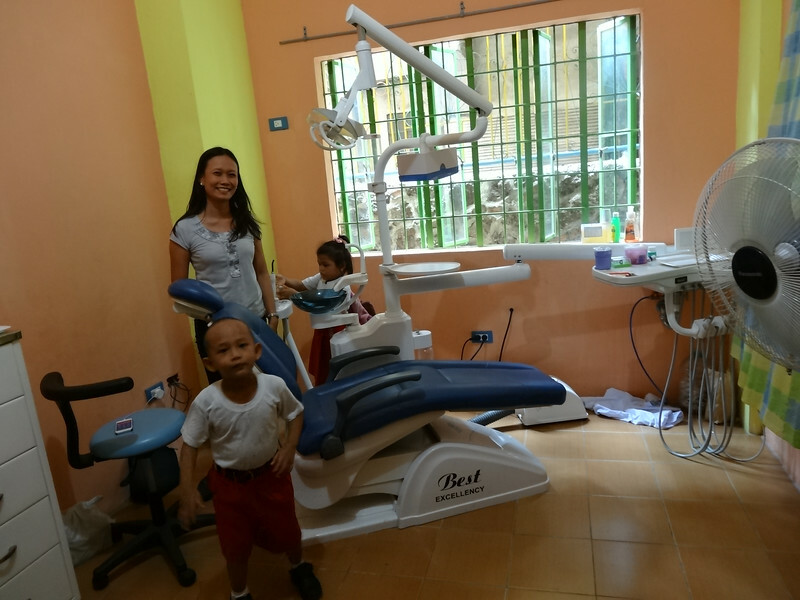 I worked as a doctor in some NGOs in the Philippines; the experience is one of heartbreak and hope, just as you described. I admire especially the children who find happiness everywhere. Spot on: attention is focused on countries like Africa, but here is a place that gets no help from big funders. Well… It’s partly their choice to come live in slums, but still. 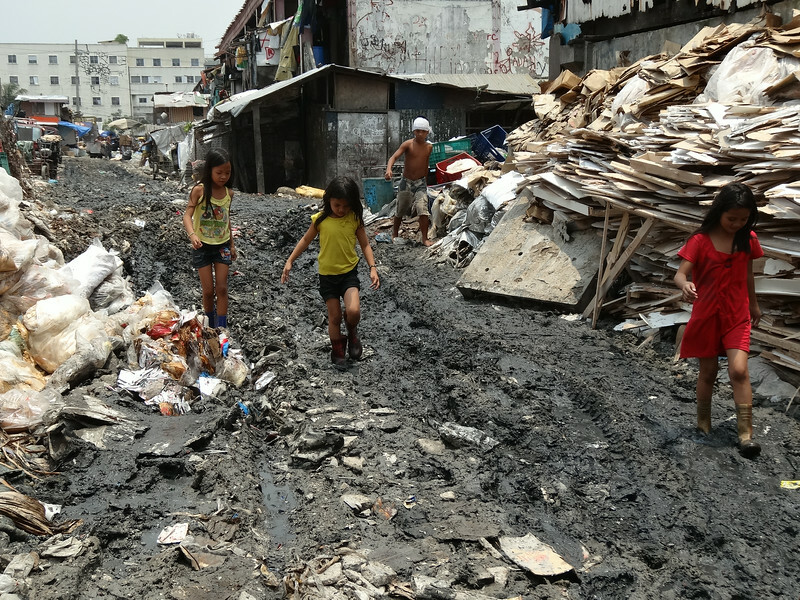 The Philippines is rich in natural resources yet people choose to live in Manila under such conditions. If one visits the provinces, there is an abundance of farm life, yet people live in poverty and are driven to work odd jobs in the cities. The divide between rich and poor is very great. The politicians amass wealth through corruption. They sponsor our missions when there are elections so they can garner votes, but don’t have plans for long term health care. They see the poor as cattle to be exploited. That you have a compassionate and non-judgmental approach is wonderful. Some people from first world countries are so condescending. Sadly a lot of these people are fellow Filipinos who have gone abroad and done well, then forgotten their roots. A few do come back and conduct medical missions for their brethren. 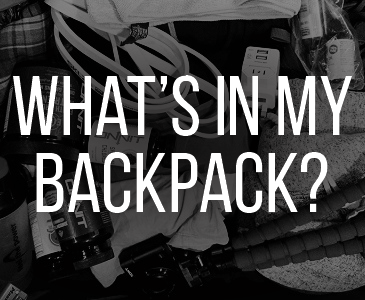 Your story can help look into this pervasive problem. 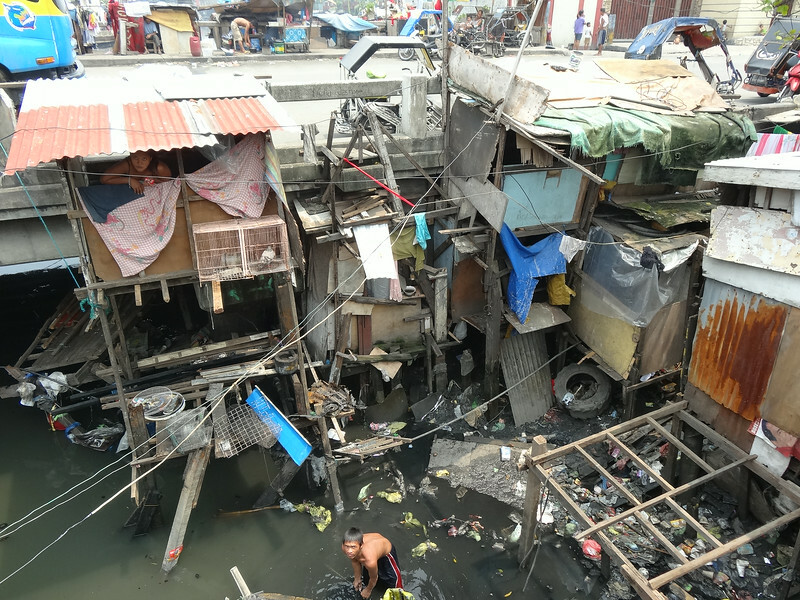 There are many other slums in other Philippine cities. These are dangerous places where men drink and gamble during the day. Even locals wouldn’t venture there, thievery and murder are so common. I see you have a good heart, a fearless attitude (just trying the pag pag…), a keen eye and a writer’s talent. If you wish, you can travel with some organizations that do operations in children. Some look for good writers like yourself who can raise awareness of people who need help. It’s an uplifting experience. Continue writing and inspiring everyone! Thanks for your comments, and hats off to you for donating your time and expertise to a greater cause. 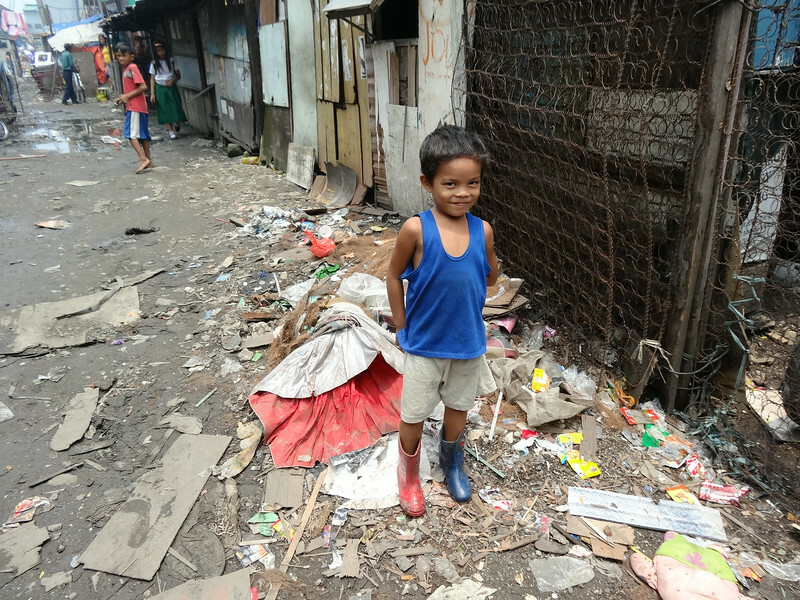 The Philippines is such a strange country – so much happiness and optimism yet so much poverty and corruption. One can only be fascinated by it all, in both good and bad ways. I would love to work with some NGOs in the future. If you know of any that would be a good fit, please do email me with suggestions. Thanks again and I hope you will keep on doing what you do. Wow I am impressed Bren! Several other bloggers write about their experiences with Smokey Tours and all have the same positive things to say afterward. Definitely a humbling experience, to say the least. 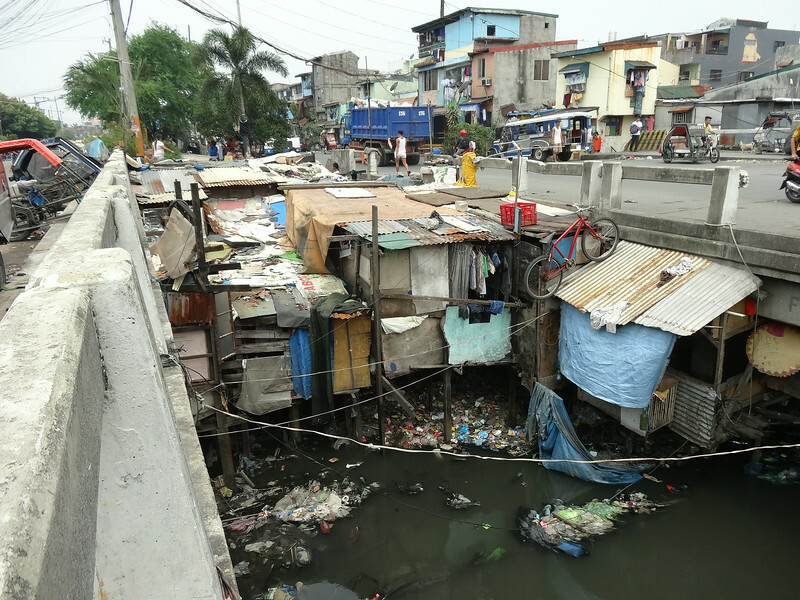 I’ve been through a lot of slums from Central America on over to Asia and you have to admire the perseverance of people living in such squalid conditions. Really makes me want to do more to improve there condition but then I also feel helpless because I’m just one person, what can I do? Trying to raise awareness and spark change by writing about it seems like the most feasible way, so cheers to you for doing just that. Next time I’m in Manila I’ll definitely be giving Smokey Tours a visit. I know the feeling. Without being billionaires, there’s only small changes we can make. 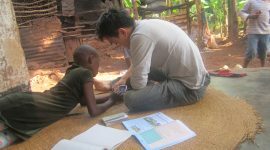 But even small changes that affect the lives of only a few are still very impactful and rewarding. Enjoy the Smokey Tour! I’m sure you’ll love it. Thanks for sharing with us. 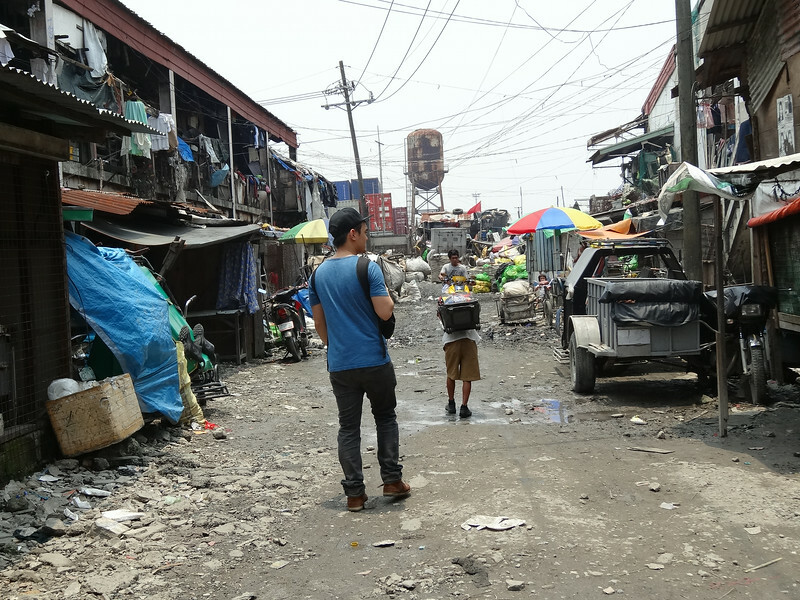 Seeing the slums of Manila makes me both grateful to be prospering and yet, grateful to see such inspiring people. The resourcefulness is quite awesome and the up and at ’em mentality strikes me too. We empower, or we don’t empower. I tune into the good these people are doing and I also feel good that Smokey Tours is finding ways to employ locals and bringing their living conditions to light. Although I do tune into the good going on in the slums, I am floored by the living conditions too. 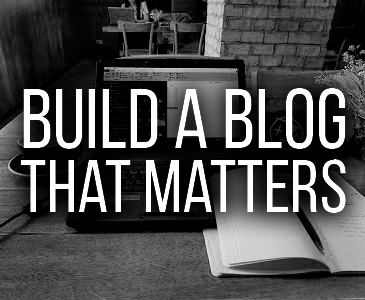 I intend to do my best, to inspire more people to become full time pro bloggers, so they can become aware of folks from all over the world, to help out folks who need help, and I certainly would like to become a philanthropist too, to spread the word and to spread blessings to folks who could use the wealth. Thanks Bren. Tweeting from Bali. Indeed awareness is the first step. The world is so massive that even the most unbelievable occurrences go unnoticed by the vast majority of us. As long as we all do our bit, we should begin to make progress. I do believe this generation is the one that will put a serious ding in poverty. Just like KFC? That actually doesn’t surprise me at all. This post really made me stop, think and take in the conditions of places around the world that are not as fortunate as others, as well as the people. I can imagine it was quite shocking to see with your own two eyes. It reminds me a little of my first visit to Kenya. The absolute shock I felt at the difference between living conditions. Hey Bren! I am a big fan of your travel blogs. I feel like I know you well already because of your travel stories. I am a traveller myself from the Philippines but I am now based in USA. I admire your courage to go to places that many won’t even dare to go. You inspire me. 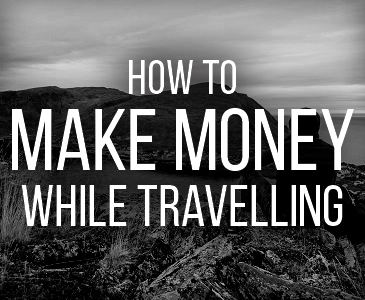 I like your travel tips and plan on using them in my trips. I plan to go on solo backpacking in the Caribbean this December. Wish me well:-) I hope our path will cross one of these days somewhere. Are you still in the Philippines? I can ask some of my friends to meet you so they can guide you around. I also suggest you go the the provinces like Bohol, Cebu, Ilocos, Camarines Sur, Mountain Province, etc. Its very different there compared to the city. Let me know. Safe travels for December! Let me know how it all goes. I stumbled across your website/blog after viewing Google Maps, looking for an atoll east of The Philippines by about 800 miles. I was curious about Manila, looking at the maps then switching to the satellite photo option. I saw the avenues, thoroughfares, but closer to the bay, I couldn’t make out what I was looking at. It was slums, slums everywhere. I saw on the print in Google, a blackened area near Estero De Vitas. I did a Google search on slums and the waterway and find that it burned 5 years ago. No access for any fire or services except by water. No fatalities, but 60 families were displaced. I was looking at some of the pages with links that I found your web page. I viewed it, with my 63 year old white guy’s eyes. As you point out, it makes one appreciate the luck in life that we all have. The line from a song, “If I did not have any bad luck, I’d have no luck at all” fits. The resiliency of the people living their life in the slum, is amazing. 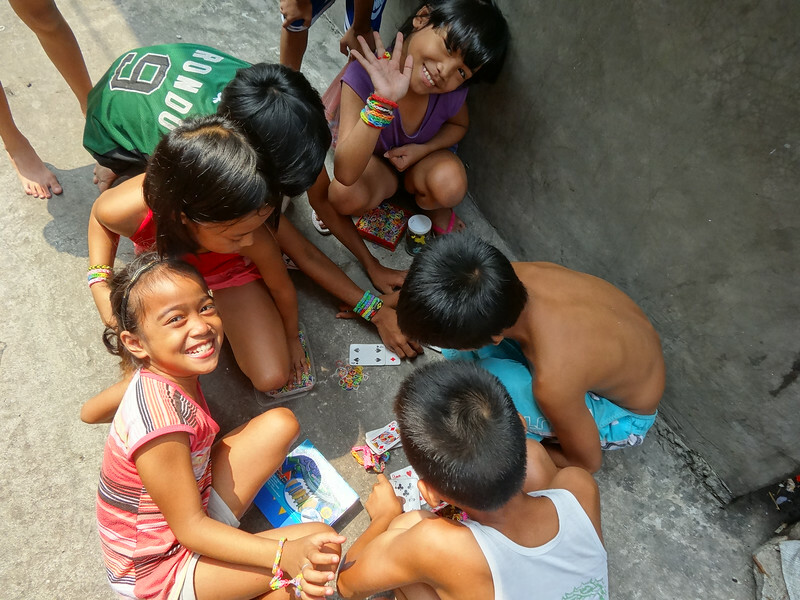 The bright smile of children at play is universal, it is so good to see it alive in the slum. In life, we have our burdens, these people get thru their day with a smile, at least for 1/60th of a second. My wife and I are doing what we feel is the right thing in taking in her oldest daughter’s 4 kids, while step-daughter is doing time for being stupid. She is learning, but family takes care of family. She gets her kids back next spring and my wife and will be working to get our retirement plans in play. I will keep your site in mind as well as Smokey Tours. I can and will step up to provide money for this area as it was pointed out that there are other locations in Africa with needs that are more advertized. I also will work this site into a learning tool for my granddaughters. The 12 and 17 year old live in the world of “It’s all about me”. They really need to get up to speed that being concerned for themselves is important, being concerned for those less fortunate is one of the good human traits that need to be developed. Reading your blog makes me stop and think I’m still lucky enough though I’m from Province here in the Philippines. You may interested to visit some places in Mindanao. I’ve heard a lot about Mindanao. One day. Hey Kathi, yes it’s true you are not allowed pictures. I was given a media permit. Whatever we see and view there, is something that will remind us to appreciate what we have and learn to give to those who need more.